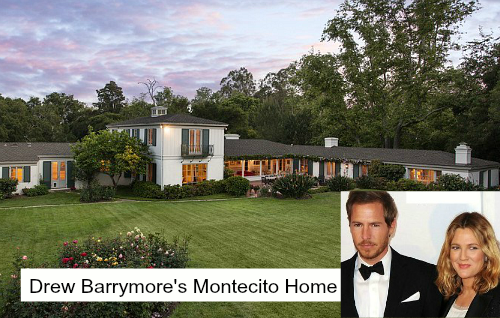 Ever heard of Montecito? While many know the coastal community of Santa Barbara, it's tiny neighbor Montecito is a best kept secret (even though Forbes rated it #14 of the top 25 places in the world to retire). And while Montecito has a past that is riddled with bandits and soldiers, some of the most influential celebrities, politicians and architectural names in the world call it home. For over 10,000 years the Chumash Indians inhabited Montecito and were the first to discover the area's famed hot mineral springs. The springs were said to have had magical powers to heal the sick. Word of this brought Wilbur Curtiss, an ailing man with a life expectancy of six months, to the springs during 1855. A 100-year-old Indian led him up to the ancient spa where the waters restored Curtiss to robust health. So much so, that he later filed a homestead claim on the Hot Springs and thus became Montecito’s first American settler. In the 18th century, the Spanish arrived to occupy and Christianize the area, building the famed Presidio and Mission. Many settled on plots of land as large as 50-acres, ranging across the foothills and out to the beach, where they found the soil, air and climate to be perfect for growing crops, citrus and other exotic fruits. Soon after, merchants and craftsmen set up shops and began forming small towns, which are known today as Montecito's upper and lower villages. In the middle of the 19th century, the area became known as a haven for bandits and highway robbers, who hid in the canyons and oak groves, preying on the coastal traffic between towns that had developed around the missions. But, that couldn't stop the word from getting out about the quaint beach town. By the end of the 1860s the bandit gangs were gone, as Italian settlers began to arrive. Finding the area reminiscent of Italy, they built farms and gardens similar to those they had left behind. Around the end of the 19th century, wealthy tourists from the eastern and midwestern United States began to buy land in the area. 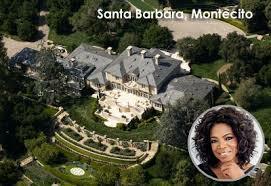 It was near enough to Santa Barbara for essential services, while still being secluded. Desirable weather and affordable land offered the promise of comfortable, heathy living. Luring names such as Rockefeller, Carnegie, Fleischmann, Cudahy, DuPont, Swift, McCormick, and Bliss, the ultra-rich quickly fell in love with the area’s beautiful scenery and Mediterranean-like climate. Developing estates ranging in size from 30 to 200 acres, and dubbed “The Hill Barons,” their palatial mansions occupied hilltops overlooking Montecito’s beautiful woodlands. Today, Montecito remains a popular destination for the rich and famous; a place where they can easily escape to unwind from the big city bustle. Attracting the upper echelon, such as Oprah Winfrey, Tom Barrack, Ellen Degeneres, Eric Schmidt, Ty Warner, Rob Lowe, Jeff Bridges, Arnold Schwarzenegger, Ivan Reitman, and may more, the town continues to offer solace to some of the biggest names in the entertainment industry. Quaint streets lined with upscale boutiques and restaurants give the town it's cozy, village feel, while world-famous beaches and sprawling mountain tops lend themselves to outdoor activities of all kinds. Estates offering the utmost in privacy and seclusion, combined with a climate that boasts over 300 sunny days a year, make the area nothing short of ideal.